InGround Talent - a small diameter for great fun! Berg's new Talent Line promises many advantages. InGround trampolines are now available with smaller diameters which are particularly suitable for younger children. 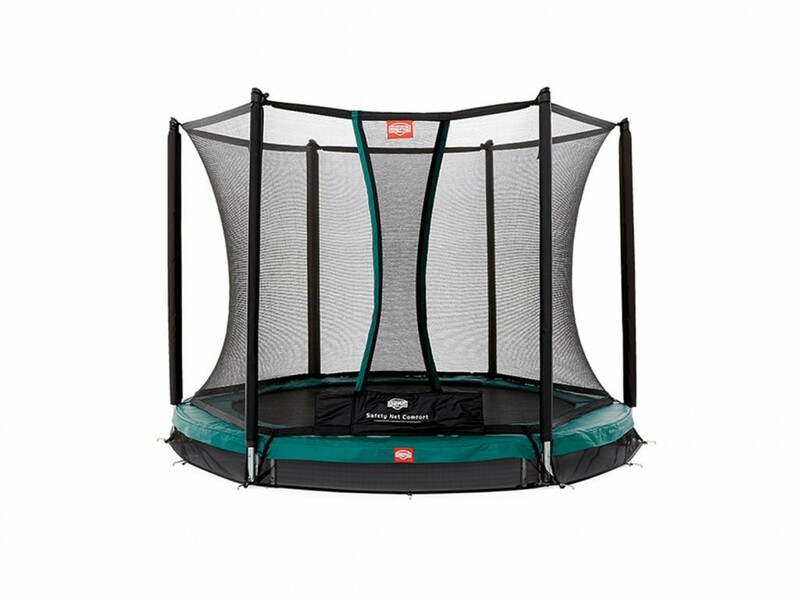 This classic inground trampoline is available with the Comfort safety net starting from a diameter as small as180cm. This new trampoline is perfect for your garden as it takes up little space and is fantastic value for money. Featuring a slightly slimmer protective edge and Talent Goldsprings, this trampoline is a superb and affordable alternative to the well known Berg Sports Series. Having a small diameter and a maximum weight bearing capacity of 70kg (if the diamter is 300cm), the Talent trampolines are only suitable for children and adolescents to jump on. This trampoline has a sturdy frame with a solid wall thickness and a corrosion-resistant zinc layer on top of that. The Comfort safety net helps prevent accidents reliably. Berg Trampoline Cover Basic In stock! Berg trampoline InGround Talent + safety net Comfort add to comparison list.